They will be awarded Associate Degrees in Agriculture, Nursing, Education and Engineering, Technology and Applied Sciences TVET in a college headed by prominent Liberian Educator Dr. James N. Kollie, Sr. According to the Public Relations Officer of the College, Kolubah B. Akoi, these students have completed all courses over the years required by the college. The program is expected to be held on the main campus of the College in Voinjama City and will bring together over 1000 special invitees across Lofa County and Liberia. “Also expected to be in full attendance are the Lofa Legislative caucus and Government officials’ including the President of Liberia His Excellences George M. Weah who is the Visitor to the College”. The Lofa County Community College is a government run institution established by an Act of the 52nd Legislature and approved on April 14, 2011, and it first President is Dr. James N. Kollie Sr. Former Vice president for the Graduate School at the University. This is the second graduation since the College establishment. During its first convocation in July 2016, the college graduated over 150 students and this time, it is graduating 413 students total with 302 being Males which constitute 73% and 111 females constituting 27%. According to Mr. Akoi, even though the gaps between the males and the females are still wide, the college is working and designing programs that is female friendly in order to attract more female’s students at the institution. Meanwhile, the LCCC PRO has disclosed that, the President of the College, Dr. James N. Kollie Sr. will be retiring from public service after 30 long years in the academic field serving in higher positions of trust in the private and public sectors. 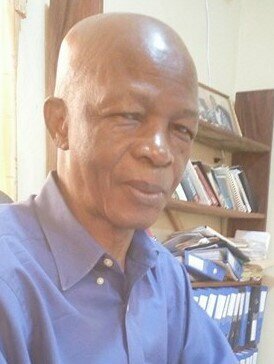 Dr. Kollie who is now 69, says he has officially communicated with the board of the college informing that body of his intention to finally hang his gown after February 23, 2018, to give chance to young PhD graduates to take the stage. Dr. James N. Kollie Sr. Will be seriously missed. He served as acting president of the University of Liberia Undergraduate school and later Vice president for the graduate school, the position he had when the former president of Liberia Ellen Johnson Sirleaf asked him return to his home county to jump start a newly built college. It started with the budget of US$250,000 and students’ enrolment of a little over 250. According to him to date, the college annual budget stands at US$830,000 with the enrolment of over 950 students.